.Hack//G.U. is clearly the product of a different age. The series’ most playful moments involve imagining what would happen in a world where everyone is hyper-connected through technology, a mixture of adept foresight and the paranoia that surrounded events like the perceived Y2K computer crisis. These concerns have kept .hack//G.U. relevant, however, and publisher Bandai Namco’s release of a remastered collection of the entirety of the .hack//G.U. 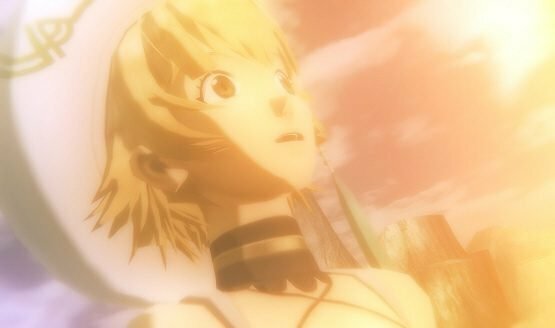 series is a testament to that staying power, as .hack//G.U. Last Recode has become the de facto best entry point into the franchise for PS4 and PC players. The main draw might be the collection of three remastered games and an entirely new game set in the same universe, but there’s also a plethora of additional content, including fully animated movies, a parody mode, and more. .Hack//G.U. Last Recode is the definitive best offering the .hack franchise has ever had in terms of accessibility, since the series releases games in volumes and was often difficult to follow for fans because of this. .Hack//G.U. Last Recode is not a compilation without its problems, however, and those are worth exploring in detail before discussing what has remained the series’ greatest strengths. .Hack//G.U. Last Recode is very much a JRPG from the mid-2000s, complete with the same kinds of issues fans of the genre would have expected from a title released in that era. 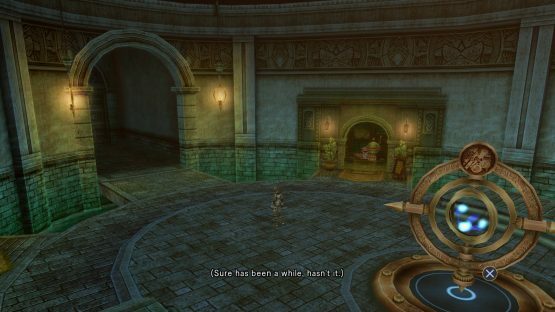 Shoddy localization plagues the game’s dialogue, turning meaningful moments into strange oddities instead, while the voice acting evokes memories best filed away beside other painful moments like Final Fantasy X’s Tidus laugh. Players control .hack//G.U. Last Recode protagonist Haseo, nicknamed “The Terror of Death” by other players, throughout the entirety of the remaster, and it’s a proposition that is incredibly inconsistent. Throughout the entirety of Vol.1//Rebirth, Haseo is something of an irredeemable jerk, the type of character trope players would expect on the other side of the game’s narrative, constantly hounding the heroes and forcing them into difficult positions. In The World, the game’s MMORPG setting of a game within a game, Haseo is a character that begins his journey as little more than a bully. Somehow, however, Haseo is meant to be a hero, despite largely being a misogynist with paper-thin character motivations. By the end of Vol.1//Rebirth, it’s a wonder anyone ever helps Haseo at all, let alone throws their lot in with him to face a terrifying online presence that could render them comatose in real life. One of the biggest issues present in .hack//G.U. Last Recode is the reason Haseo is so unlikeable for the vast majority of its first and second volumes (although he does, eventually, become a fairly compelling character). .Hack//G.U. Last Recode’s story pacing is glacial at best, with characters frequently driving the story by inviting Haseo to warp into random areas in the game to engage in ten or twenty minutes of cutscene-driven action before advancing a plot point with no real gameplay. While this would be more forgivable if each of these encounters played an important role in progressing the story of Haseo in his quest to save his friend Shino from the aforementioned coma outbreak, that isn’t usually the case. Instead, it’s meant to be character development or world building, two things .hack//G.U. Last Recode doesn’t lack in any way—the games do a nice job of having characters evolve naturally, and the narrative really doesn’t need to rely on the kind of pacing it does early on when combat feels as if it is an afterthought. Finally, the partial remastering of the games really doesn’t help the overall project. Some cutscenes will have five or ten second shifts to vastly improved graphics and mouths that move to match what characters are saying, then swap back to the still-improved but much more dated looking graphics that make up the bulk of the collection. It’s jarring and suggests that the game could have been worked on a little longer to make each scene hold up better. That being said, however, .hack//G.U. Last Recode picks up the pace from the middle of Vol. 2//Reminisce and doesn’t look back. The stakes get raised, characters begin to grow up, and the game finally lets its narrative breathe without sacrificing gameplay to do so. Part of the appeal of .hack//G.U. Last Recode is that it showcases some truly fascinating JRPG mechanics, some of which still feel like they should be mimicked elsewhere in the industry. Players collect keywords that allow them to construct three word “codes” that teleport them to a randomly-generated dungeon area. The keywords affect the appearance of the dungeon, the levels of its enemies, and the treasure that can be found within them. While there aren’t that many variations in terms of environment and monsters, there’s enough that the game really does feel as big as a MMORPG. The combat and item collection are, however, much more like action titles than a traditional JRPG. Fighting devolves into hack-and-slash style battles everywhere except boss fights—which are a genuine treat—and the equipment players collect is pretty lackluster for a title mimicking a genre that often sees players dressed in armor that shines brightly enough to blind other characters. Somehow, the lack of overpowered new loot to pursue never detracts from the game’s ability to make dungeon crawling interesting. Haseo gets to choose his party of two others from his friends list, which will see some characters busy or offline and force players to switch up their composition every now and then. The AI is also refined enough that it never needs to be micromanaged, which is wonderful. Truthfully, .hack//G.U. 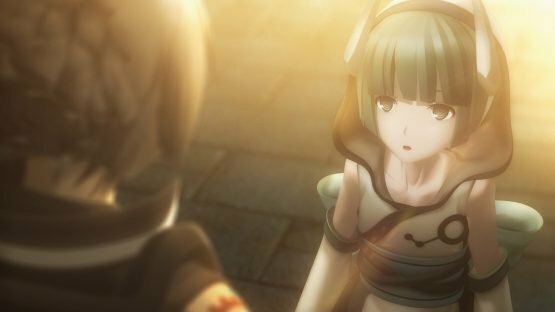 Last Recode isn’t an example of the best kind of remaster, as it hasn’t completely addressed the issues that plagued its original versions in the first place. Somehow, though, those negatives seem lesser this time around, as .hack//G.U. Last Recode manages to assemble a series of games all in one place that, in retrospect, seem to have had a profound impact on pop culture—or, at least, were the prototypes for those that would. .Hack//G.U. Last Recode supplements this with some meaningful and enjoyable additional content and upgrades, and as an art piece—the kind of game that needs to be experienced for something outside of its technical prowess—it just works. .Hack//G.U. Last Recode is a JRPG history exhibit, and it’s well worth the price of admission. .Hack//G.U. Last Recode review copy provided by publisher. Version 1.00 reviewed on a PS4 Pro. For more information on review scores, please read our Review Policy.